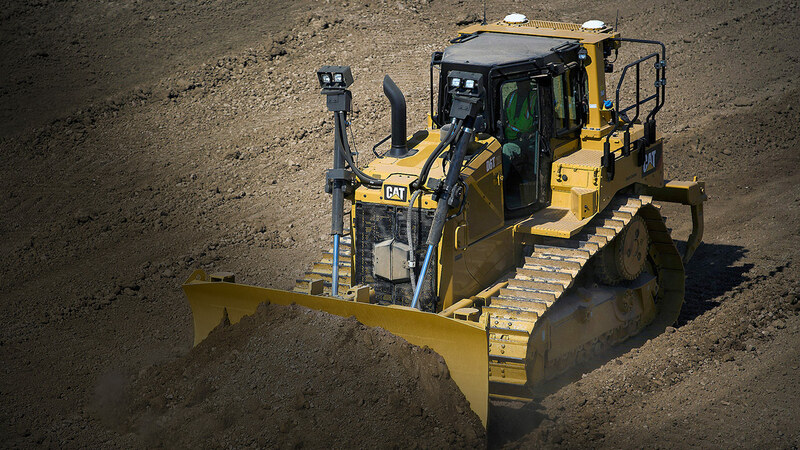 The VisionLink suite of applications is designed to help construction/heavy equipment fleet owners get better results and improve their bottom line. To put it simply, the VisionLink Unified Suite of applications is a next-generation asset management and fleet productivity solution mainly targeting the construction industry. VisionLink Unified Suite leverages equipment telematics data, to give contractors a more holistic view of their fleet, assets and site productivity for better decision-making and increased profitability. VisionLink Unified Suite consists of four core applications: VisionLink Unified Fleet, VisionLink Unified Service, VisionLink Unified Productivity, and VisionLink Administrator. The applications are mobile friendly, enabling ease of access on mobile phones and tablets. VisionLink Unified Fleet’s user-friendly screens display fleet information including hours, miles, fuel, locations, idle time, asset status, asset utilization, and customer-defined asset states. Get better visibility to your fleet and improve your bottom line with VisionLink Unified Fleet. Manage fleet maintenance and extend the life of your assets with VisionLink Unified Service—the go-to tool for fleet owners and maintenance managers. VisionLink integrates health and maintenance information; delivering a complete picture of fleet health that allows you to proactively schedule maintenance while maximizing asset downtime. VisionLink Unified Productivity helps project managers, foremen and operators maximize site efficiency in near real-time to keep projects on time and on budget. This application enables monitoring of payload volumes, as well as other material movement metrics including load counts and cycle times. VisionLink Administrator is designed to provide administrative functions to the Unified Suite of applications. This application enables management of asset settings, users, reports, notifications, groups and projects, as well as the configuration of mixed-fleet data integration utilizing AEMP 1.2/2.0 and other APIs. Our VisionLink Landfill application was developed with the landfill manager in mind, enabling better management of your solid waste landfill. Achieve better compaction and maximize the life of your landfill with VisionLink Landfill. VisionLink 3D Productivity Manager provides a complete view of cut/fill, volume, and compaction data so you can leverage all of your jobsite data from machines, to surveys and drones for improved decision making. VisionLink provides actionable information for key decision-making to help improve your bottom line on any device at any time. Boost your ROI from machine control investments by leveraging the power of VisionLink and combine survey and design data with machine data all in one software. Customers all around the world are connected to VisionLink to leverage the power of telematics data to make key business decisions, find cost savings and increase productivity. Your equipment is telling a story. Are you listening? VisionLink is proud to offer multilingual support in our applications for 23 languages: English, Czech, Danish, German, Dutch, Spanish, French, Italian, Hungarian, Norwegian, Polish, Portuguese, Romanian, Slovenian, Swedish, Turkish, Greek, Bulgarian, Russian, Korean, Chinese, Japanese, and Thai. For the last decade, VisionLink has been the leader in providing software solutions for the heavy construction industry. We are committed to innovating and expanding our offerings to equip the industry with the solutions needed to better manage their business. Click here to register for FREE VisionLink training or watch a recorded session.